Why Did Crucial Computer Systems Fail? 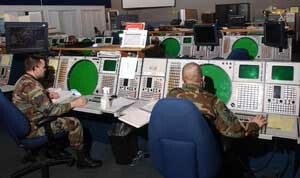 “THE HEART OF THE MATTER” – On 9-11, Northeast Air Defense Sector (NEADS) radar operators were confused by the false data “injects”, which resulted in flawed and delayed communications between the FAA and the military. The following is an audio file of Christopher Bollyn reading “Why Did Crucial Computer Systems Fail?” Chapter Five of his book, Solving 9-11: The Deception that Changed the World.